We had decided to go out for dinner as a treat. My daughter has been bugging us for months to go to East Side Mario's. 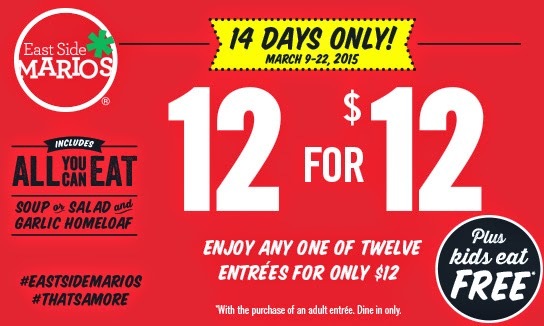 We had planned to go to a different restaurant but as we drove by the East Side Mario's we saw the sign for their 12 for 12 special. 12 different entrees for $12 and kids would eat for free (actually was $5 off their meal off the kids menu so no it was not “free”). We decided to go in – biggest mistake in a long time. Horrible, horrible service and the food simply sucked. It was about 5 pm, a little early for us but we went in anyway. Because there were 5 of us we had about a 15 to 20 minute wait to be seated. They had several empty tables that were reserved, and that was understandable. It was once we were actually seated that the problems began. When we were seated the waitress showed up with our menus. I told her that we really needed to get a chocolate milk for our two year old daughter. She was very fussy and I wanted to keep her calm. At that point we ordered a coffee for myself, water for my husband and two fancy drinks for the older two kids. I stressed that we really needed the chocolate milk. 20 minutes later, yes 20 minutes later she showed up with my coffee and the water for my husband. She claimed that the bar was holding up the kids drinks. It was another 10 minutes after that before the kids drinks showed up. So even though we had shown up about 5 pm it was 6 pm before we got our drinks. It was not that busy! By then I have spent a half hour trying to keep a two year old calm. When my husband’s water s showed up the two year old attacked it, put her hand in it and started drinking it. The waitress saw this and still took over 10 minutes to bring us the kids drinks. 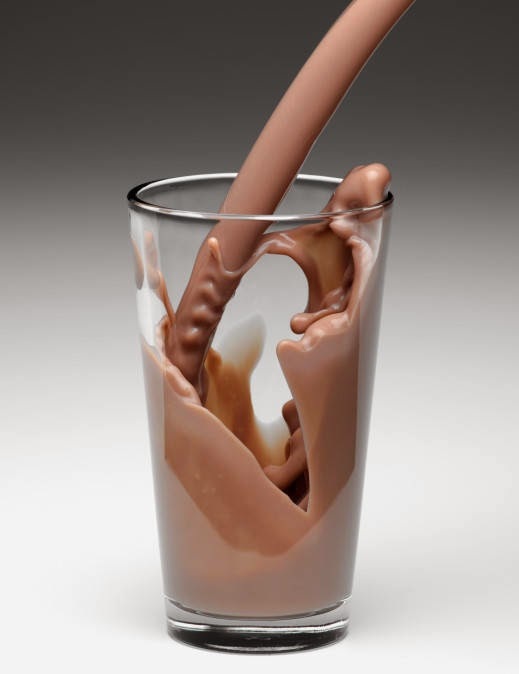 I am sorry but it does not take a ½ hour to pour a glass of chocolate milk. She never brought my husband a fresh water, and I had drank my coffee before she showed up with the kids drinks, it was over an hour before I got a refill of coffee. Oh, by the way, she did not take our order until after the drinks arrived. So in a half hour she came to our table to drop off the menus and we gave her our drink orders. She came back to drop off our drinks and then after that came to take our order. By now the two year old is going out of her mind. It was impossible for me to look at the menu and deal with her, hence why I had asked for the chocolate milk, to keep our two year old happy and give me a chance to look over the menu. She dropped the kids drinks off asked if we were ready to order. I said no I needed a moment as I was trying to choose between two items. I was about to ask her a question about two of the menu items but she walked away and did not come back for quite some time. I could see her standing at the other end of the restaurant by the kitchen talking. We could see that people who came in after us had their meals before we even had our order taken. Heck they had their meals before we had our drinks. She eventually came back. I had been staring at her for about 10 minutes. We quickly placed our orders but when it came to me I still had my two questions to ask. She made it very clear she was not happy about me taking her time by asking her about the two pasta sauces. I quickly just picked something because I was afraid that if I did not she was going to make us wait forever before she came back to take our order. Now it is after 6 pm, our kids are used to eating at 6 pm. The two year old is now really upset, drank her milk within a minute and had been stuck in a restaurant for over an hour, with no food and not able to run around and play. We waited until about 6:20 before the bread arrived. Another 15 to 20 minutes for the soup and salad to arrive. It was about 7 pm before our entrée’s arrived. We had been in the restaurant for two hours before getting our meals. Our food was lukewarm, not hot. The pasta was too al dente, it needed about another minute the sauces were not very good at all. The bread was just okay. 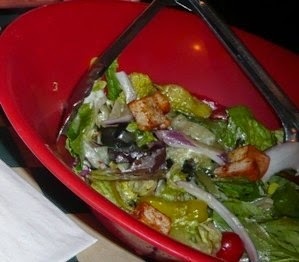 The garden salad was tasteless, very little dressing and it was very plain. The Caesar salad was not that good, no garlic, very bland. The soup had no flavour at all. Nothing tasted very good, not even with cheese added to it. Our two year old would only eat a couple of the noodles off my plate, and the ice cream desert. She did not touch her meal at all. We ended up packing up our dinner and going home. I started to feel sick after eating, so did my kids. It took forever to get our bill. I actually packed up the kids and went to the car while my husband waited for the bill so he could pay. Now understand we went to the restaurant prepared to keep our two year old occupied. We had her Innotab with movies and games on it. We had crayons and paper and even a few toys. However, we never expected to be stuck in the restaurant for 2 ½ hours. No one can expect a two year old to be stuck at a table for 2 ½ hours. The whole experience was horrible. It was so bad that my husband only gave the waitress a $2 tip on a $54 bill, and we normally give more than 10% as a tip. So you know it had to be bad for us not to give a good tip. We are never ever going back to East Side Mario's. The food was not worth the money and the experience was just nasty.